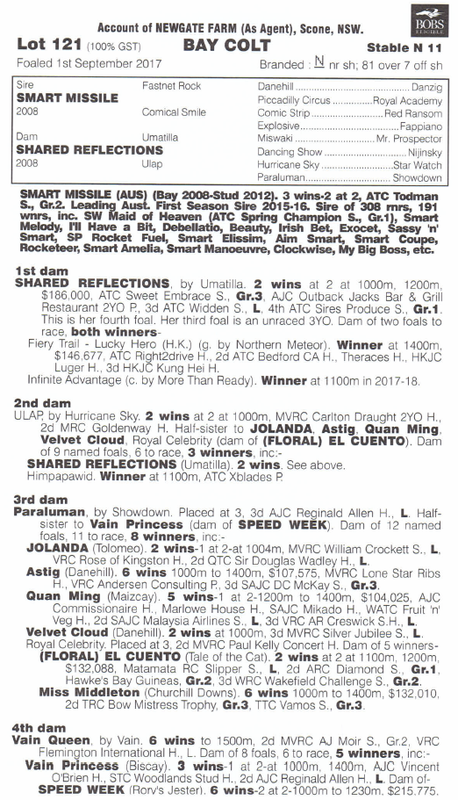 AVAILABLE NOW: Smart colt out of 2YO Group-race winner! WE LOVE a SMART MISSILE at Triple Crown. The Champion First-Season sire and now Group 1 winning sire has proven a prolific source of winners since his first crop hit the track and is clearly delivering at stud. 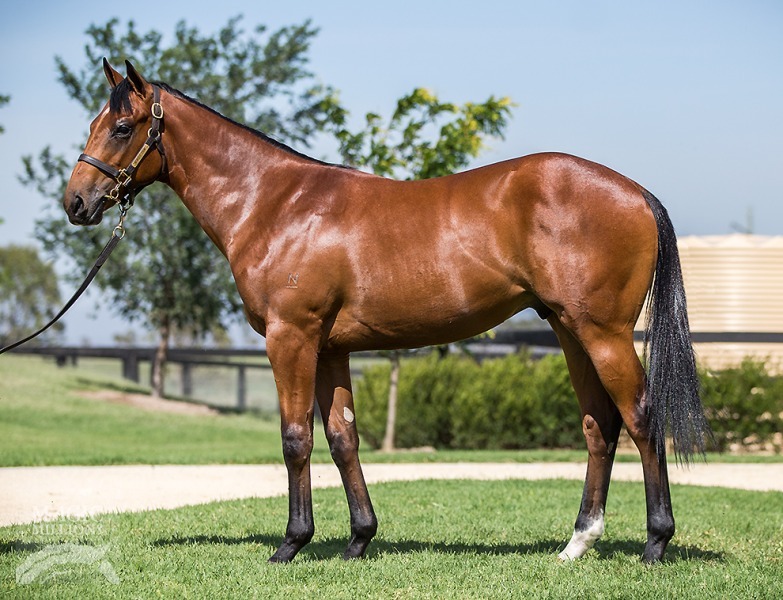 And this colt has a top quality pedigree page, being out of Group 3 Sweet Embrace Stakes winner SHARED REFLECTIONS who finished sixth in the Golden Slipper during an exceptional juvenile campaign. 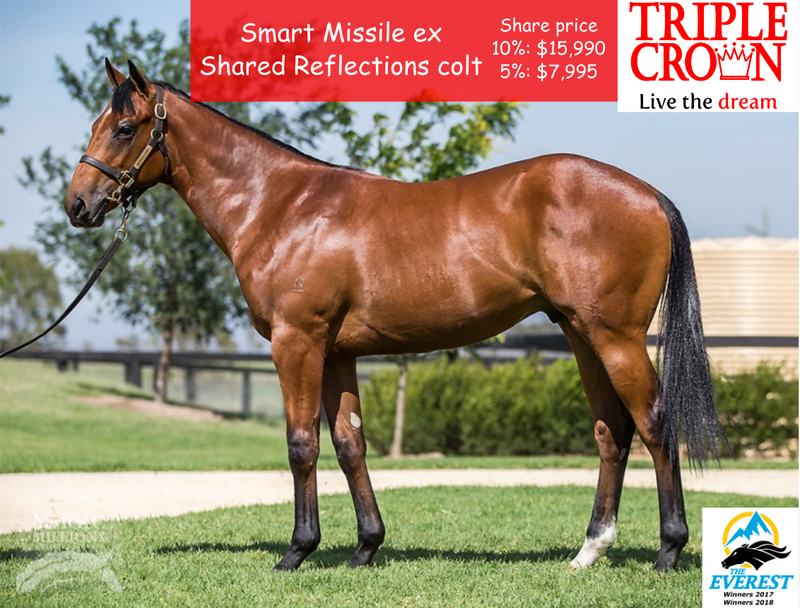 This is a strong colt – similar in mould to our other Smart Missile colts, of which we’ve had fantastic success including the Stakes placed ISLAND MISSILE and multiple city winner SMARTEDGE! Smart Missile had a breakthrough year in 2018, with maiden Group 1 winner MAID OF HEAVEN delivering top level success on the track, as well as the brilliantly talented 1000 Guineas winner SMART MELODY! This is a really impressive pedigree page. SHARED REFLECTIONS was a top level performer on the racetrack and has thrown two winners from two foals to race thus far, including City winner Fiery Trail. Further Stakes winners appear throughout the family, including Black Opal winner SPEED WEEK, JOLANDA & Group 1 runner-up EL CUENTO! Shares will not be around for long in this colt, and at just $15,990 per 10% or $7,995 per 5% he represents super value! ← Seven exciting buys from the Magic Millions!